It is summer and Events on the Isle of Wight during August and September include the flag events of Cowes Week and the Bestival. In every other year we see the Rolex Fastnet Race. 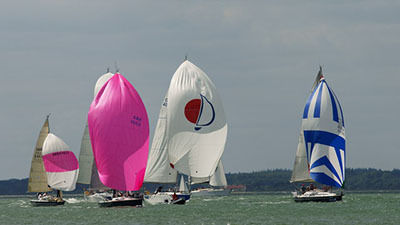 Cowes is the sailing capital of the world. Bestival is one of the famous festivals on this Festival Island. Carnivals are in full swing and the Island has quite a few. To see the list see the main Events on the Isle of Wight page. Rolex Fastnet Race is run every two years and the next race will be on 3rd August 2019. Cowes Week There is just nothing like it - the incomparable Cowes Week. 10th to 17th August 2019. The oldest and largest sailing carnival in the whole World. Thousands of competitors and spectators. Isle of Wight Garlic Festival 17th and 18th August 2019. Outside of Newchurch. Food and entertainment in the heart of the Island. Little Britain Challenge Cup 13th to the 14th September 2019. The premiere construction and property industry event. Two days of racing in the regatta plus shore entertainment. Cowes - of course. Festival of Light 29th September to 4rd November 2018. Inspired by Diwali. Robin Hill Country Park. A spectacular sound and light show. Cowes. All eyes are on this famous place during August with the most famous regatta in the world. Cowes is in the north of the Island and an entry port from Southampton. The town is split into East and West Cowes that is connected over the River Medina with a chain ferry which would amuse the children. There are lovely walks, castle, plenty of shops and plenty to do in this delightful town. Newchurch. Cyclists, one of the Sustrans routes, the 23, runs through this village. The village is in the south east of the Island with easy reach of both the county town, Newport and that lovely seaside town, Shanklin. Ryde An entry port to the Island on the north east side, there is a ferry and the Hovercraft from Portsmouth. This is an attractive town with plenty of shops and things to do. There is a sandy beach that extends a long way out, consequently the pier, with the start of the Island Railway, is long too. 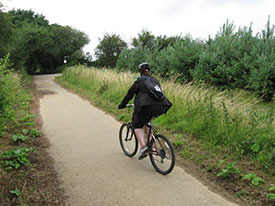 Robin Hill Country Park It is a theme park with lots to do and an attractive place to do it in. Have a looki at the Frequent Visitor Ticket, looks handy if you live on the Island or are a frequent visitor. Porchfield. 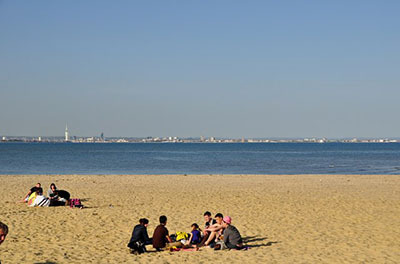 Not far from Cowes or Yarmouth, so easy to get to from the mainland. Coleman's Play Farm Park is a joy for children. Return from Events on the Isle of Wight August and September to Events on the Isle of Wight. Ventnor 8th and 11th August 2018. Ryde Carnival 29th and 31st August 2018. Illuminated Carnival on 1st September 2018.